After graduating from Law School, I honestly felt very lost. I was unsure about what I wanted to do, and exactly where I wanted to go. That’s why I decided to undertake the Leo Cussen PTC as it taught me how the legal world functioned in a practical sense, from high level lessons such as setting up your own practice, right down to the detail of how to structure your questions when interviewing your client. When I applied for my first consultancy job, I realised the true impact that Leo Cussen had on me. One of the tests at the interview was to read 25 pages of information, filter out what was important, and then draft a letter to a client. All in just 45 minutes. Thanks to the mock files and consistent feedback from my mentor, Stephen Fair, I managed to quickly hone in on the pivotal issues and produce a letter. When I was offered the job, they made the point of saying how experienced and professional I came across in my letter. At that point the impact of Leo Cussen was clear: being at Leo’s accelerates your learning curve and really gives you an edge in the workplace. I am still finding this in my everyday role as an Associate at Baker & McKenzie. After two years with KPMG in Sydney and Hong Kong, I made the move from tax consultancy to legal practice by joining Baker & McKenzie’s Tax and Trade Practice Group in Kuala Lumpur. 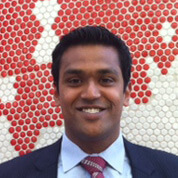 My role as an Associate at Baker & McKenzie is regional, with a particular focus on Malaysia, Singapore and Indonesia. Our team, leveraging our global network, advises clients on a wide range of customs, tax and international trade issues. I highly recommend the Leo Cussen PTC course for budding lawyers and those who might not quite have made up their minds just yet. It helped me make up mine.